The world watched with fear in November 1979, when Iranian students infiltrated and occupied the American embassy in Tehran. As the city exploded in a fury of revolution, few knew about the six American embassy staff who escaped into hiding. For three months, Ken Taylor, the Canadian ambassador to Iranalong with his wife and embassy staffersconcealed the Americans in their homes, terrified that Ayatollah Khomeini would find out and exact deadly consequences. Ken Taylor masterminded the exfiltration of the six diplomats from Tehran. Americans were held in thrall as Ted Koppel updated the nation on the fate of its hostages and the Canadians orchestrated an intrepid escape. Americans celebrated in the streets across the nation, raising banners that read Thank you, Canada! In Our Man in Tehran, Robert Wright, author of the award-winning national bestseller Three Nights in Havana, tells the story behind a major historical flashpoint, a story of cloak-and-dagger intrigue. About a month ago I read the book Argo. Although some of the stories about past operations were fun and interesting, the story told by Tony Mendez, the author, was one where Mendez and the CIA take 100% of the credit for the rescue of the hostages. I was appalled by the thought! One positive thing that came out of reading that book was that I wanted to read a more balanced book about the entire hostage situation and I found it in Our Man in Tehran. 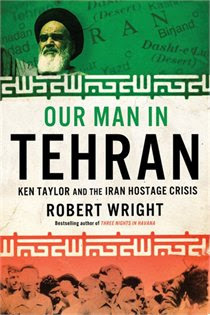 The book is a well-written and pretty fast paced book starting with Ken Taylor's arrival in Tehran, just in time for the revolution, to the rescue of the hostages he and others helped shelter, to the final return of the hostages held at the U.S. Embassy. The story of the CIA involvement and Argo is well told. It turns out that the CIA could not get a reliable source inside of Tehran so Taylor did their work for them. The method of moving the six diplomats out of Tehran was Taylor's idea. The CIA just came up with a cover story and some excellent forged documents. The operation was always controled by Taylor, who also held the ultimate control of veto to any part of the operation. In Mendez's defence, the book, written before Argo, does explain that due to "compartmentalization" in the CIA Mendez did not know anything that our Canadians were doing to assist both Washington and the CIA. 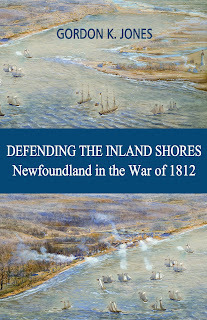 He likely did not even know about the invaluable assistance the New Zealand was for the "Canadian Caper". Taylor and his staff are all heroes. This book highlights this. It doesn't matter if you are Canadian or American, if you want a full, well-balanced account of the rescue effort and the entire hostage situation in Tehran for those 444 days in 1979-80, this is the book to read. Forget the Argo book hogwash.